Whisper it very quietly but Ireland's best chance of an Olympic medal in Beijing could again come in the form of a horse. Lantinus is without question the best show-jumping horse in the world today, topping the World Breeding Federation rankings. After his current jockey Denis Lynch won the Qatar Global Champions Tour, picking up a cheque for £100,000, the horse's owner, Swiss industrialist Thomas Straumann, turned down an offer that swiftly rose from Eu4m to Eu5.5m. That price can only have rocketed after the wonder horse notched up further victories at La Baule, France, and Rome, Italy and also put in strong performances for the Irish team at Samsung Super League events. Not since the era of Eddie Macken and Boomerang has Irish rider racked up three successive major victories. At the Samsung Super League in Aachen, he nailed down his place for Beijing with a great clear from Lantinus, despite a wild run to the open water where Lantinus stood off by a long distance before clearing. 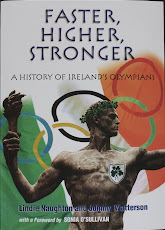 Even the bookies agree that Denis Lynch is Ireland's best chance of a gold medal. Paddy Power puts him at 12-1, ahead of the trap shooter Derek Burnett at 16-1. Bet on Lynch to win any colour of medal and the odds drop to a very poor value 3-1. But who is Denis Lynch and where has he come from? For the past couple of years the best-known names in Irish showjumping have been the world No 2 Jessica Kurten, who won Ireland the individual place in Beijing, and Cian O'Connor. O'Connor, who won and lost the gold so dramatically in Athens, is the reserve rider for Beijing with his new horse Complete. Lynch had been a good, middle-ranking rider for years. Originally from Kilfeacle in Tipperary, he was born in May 1976, the middle of three children. His musician father was a great horse lover and soon the young Denis was point-to-pointing and riding out with the Scarteens. When he grew too tall, he gave up on his initial ambition to become a jockey. In 1994, aged 18, he headed to Germany, home of the world's top show-jumping horses, for a job in the yard of international show jumpers Helena and Peter Weinberg in Herzogenrath, Germany. Three years later, he set up his own yard in Munster, Westfalen, where he soon had a string of 30 horses to look after. 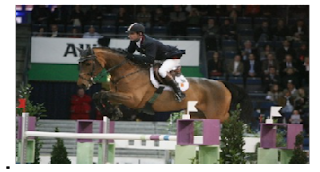 In 2000, he won his first big Grand Prix at Liechtenstein on Luigy and began riding horses for Thomas Straumann, a wealthy Swiss industrialist. The relationship has continued to this day, with Straumann currently owning an impressive string of horses at various stages of development. Best of them is Lantinus, a fearless Hanoverian gelding. Unlike many finely tuned animals, Lantinus does not easily "spook" and so far hasn't picked up any of the aches and ailments that bedevil pure-bred animals. In plain talk, he is a machine; a horse that will keep calm when faced with the noisy clamour of an Olympic Games arena. Walsh had first spotted Lantinus at Wiesbaden in 2007 when he was part of an international string of horses and riders assembled in Belgium by the enigmatic Ukrainian gas millionaire Alexander Onishchenko. Riding Lantinus was the ex-Belgian Greg Wathelet. Because the pair kept winning, Lynch didn't fancy his chances of acquiring the wonder horse. Fate played into his hands when Onishchenko was arrested at Bierset airport in Belgium with a large sum of unexplained cash. Soon after, his string of horses was put on the market. Lynch didn't waste a minute. He spent the remaining months of 2007 getting used to his new horse and at the Dresden Grand Prix on November 26 had two clear rounds for the combination's first victory. Like all the Irish horses, Lantinus went into quarantine on July 26. Lynch meantime may be seen at the RDS riding one of his other horses this week. For the first time, he has made the Irish team for the Aga Khan Trophy - giving him the perfect send-off for Beijing. *Denis Lynch and Jessica Kuerten failed to make the cut at the sixth leg of the Global Champions Tour in Valkenswaard, the Netherlands on Saturday. With two rounds to go, the German-based Tipperary man lies fourth on the series leaderboard. Both riders picked up eight faults in the first two rounds and failed to make the five-horse jump-off, won by Germany's Daniel Deusser and Air Jordan Z .
Lynch and Kuerten now head to Dublin with their Valkenswaard horses, Nabab's Son and Castle Forbes Libertina. They join Cian O'Connor, Eddie Macken and Edward Doyle in the squad for Friday's Aga Khan Cup. Next Sunday, Lynch flies to Hong Kong following his Olympic ride, Lantinus, who travels on Wednesday 6 August.